Willa ensures that everything in our office runs smoothly, from coordinating and following up with insurance claims to handling office affairs and keeping track of office supplies. She has worked in the dental field for 18 years in office management. Willa is passionate about creating a space where patients feel comfortable and confident in the care they receive. Willa enjoys traveling, spending time with her nine-year-old Pekingese named Tofu, and loves to eat and try new food everywhere she goes. Christine assists patients by coordinating with insurance, scheduling appointments, answering patients’ questions, and following up with claims. She’s been with us since 2017 and holds a degree in biology. She is an aspiring dentist who plans to enter dental school within the next year. Christine is friendly, helpful, and welcoming, and is here to assist with anything you need to make your appointment a success. Born and raised in southern California, Christine graduated from UC Berkeley and currently resides in San Francisco. She enjoys going for runs in various San Francisco neighborhoods. 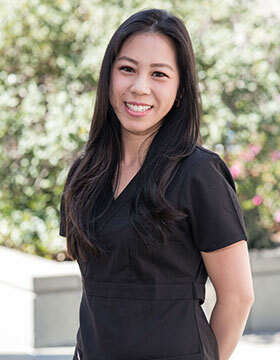 Tandis began with our office in 2012 after earned her dental hygiene degree. Her days are filled by providing personalized patient care including exams, preventive care, and periodontal maintenance treatments. 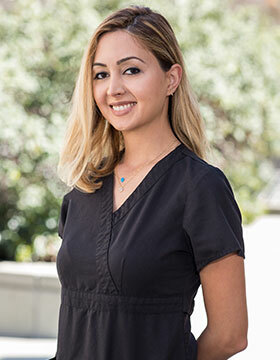 Tandis enjoys learning new things every day, whether it is a new product to help patients better care for their teeth or just catching up with her patients’ lives. Tandis and her husband have been married for ten years and have a two-year-old daughter. Tandis has an Iranian/Persian background and is fluent in Farsi. Eileen joined our office in 2010. 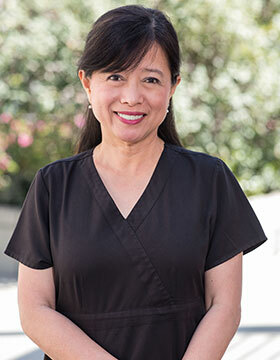 She promotes her patients’ dental health through education, cleanings, and preventive dental care. Eileen enjoys the one-on-one interactions she has with patients and looks forward to catching up with their lives during visits. 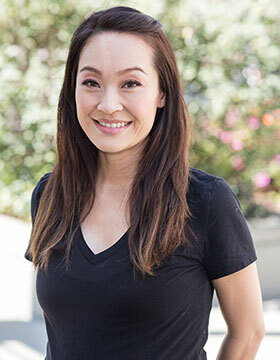 A San Francisco native, Eileen enjoys baking, cooking, and traveling, as well as spending time with her daughter and husband. Heather began working in our office in 2015, bringing with her ten years of experience from office managing to dental assisting. She provides patients with preventive care, as well as educating patients on oral health. Relationships play an integral role in Heather’s job, and she enjoys getting to know patients on a personal level. Heather is proud to be a San Francisco native, born and raised! 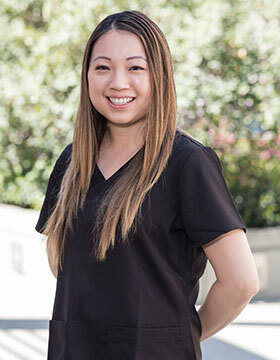 Aoy completed her dental assistant program in 2002 and joined our office in 2014. In addition to assisting Dr. Mitchell with patient care, she also orders dental supplies and coordinates with dental labs. If you ask Aoy, she’ll tell you that she enjoys everything about her job, but it’s really the people who make it so special. 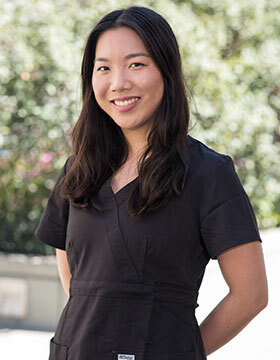 In addition to her love of dentistry, Aoy enjoys cooking, hiking, all outdoor activities, and oil painting.